Informal livelihoods are a fundamental characteristic of developing countries and South Africa is no exception. The reasons for the emergence and persistence of the informal economy vary, but include high unemployment, high levels of regulation that act as barriers into certain sectors or occupations in the formal economy, low levels of education or skills in the labour force that are not matched in the labour market, and poverty and inequality. Within this macroeconomic context, informal sector work and opportunities play a significant role as a source of livelihoods. In this project we examine one form of informal work, small scale and artisanal mining and explore its connection to the urban economi(es), both formal and informal, and to the mental and physical well-being of informal miners and the communities in which it is undertaken. 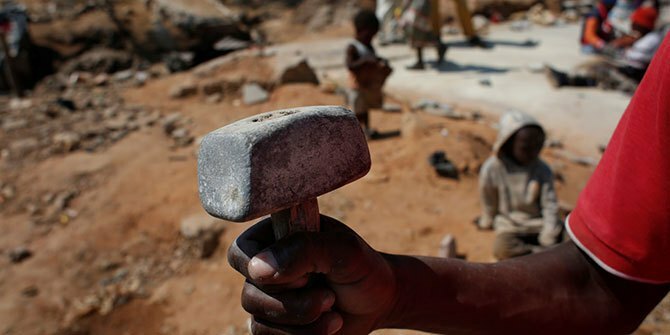 In doing so, we explore the conditions that shape entry into the sector and the social, economic and health experiences and outcomes associated with doing informal artisanal mining. Zaheera Jinnah has a PhD in anthropology and a background in development studies and social work. Her research interests are in labour migration, gender and diaspora studies. She is a researcher at the ACMS where she teaches, supervises graduate students, and engages in policy and academic research. Her doctoral thesis concentrated on aspects of gender norms, agency and livelihoods among Somali women in Johannesburg.